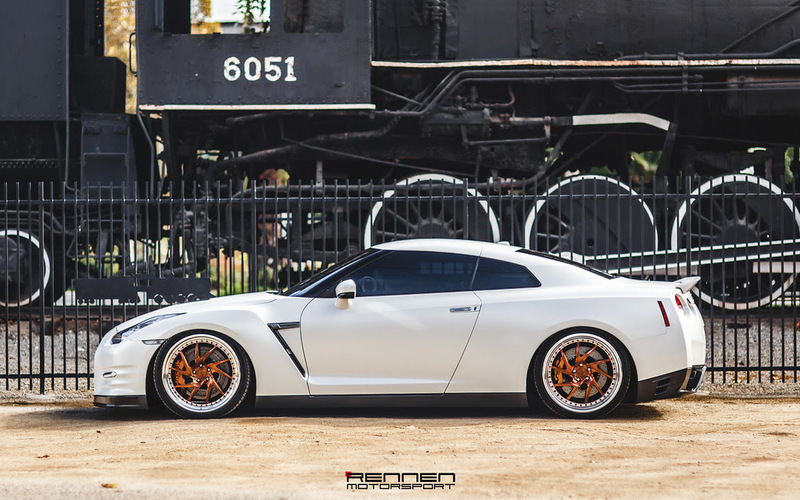 This latest Nissan GTR R35 is another vivid, eye-opening example of how Rennen Forged conceptualizes the notion of envy – quite the difficult task, given the GT-R’s already-enviable reputation amongst import enthusiasts in particular – what with the awesome MV55D wheels the company has fit on this Japanese supercar. 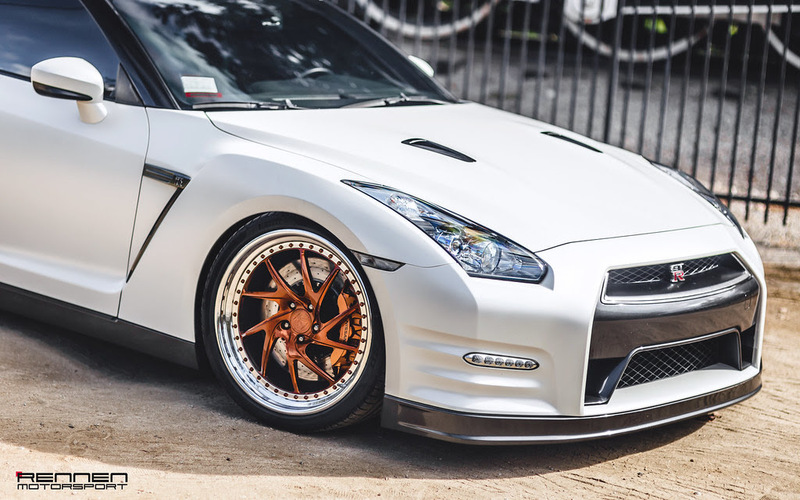 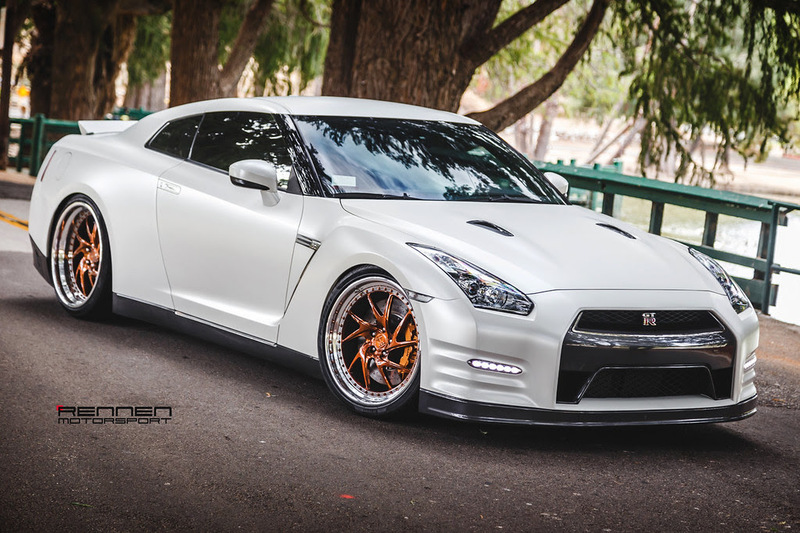 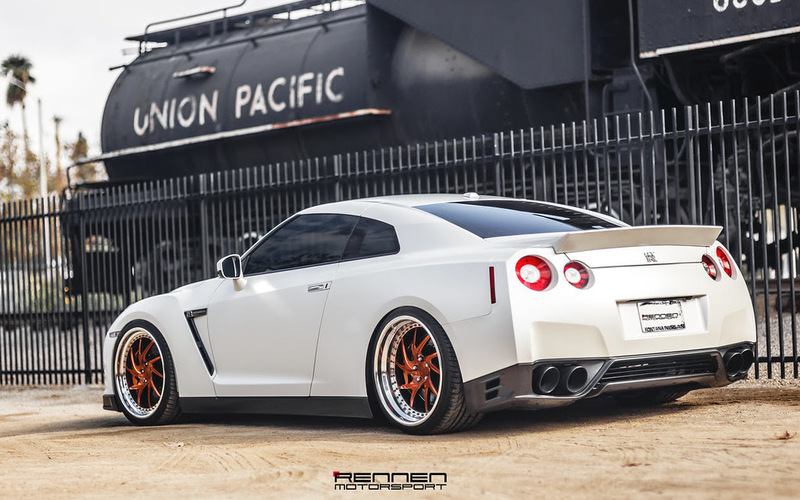 This GTR is wrapped in a satin pearl white and is accented beautifully with Rennen Motorsport MV55D wheels in a brushed cognac faces, high-polished lips & matching cognac bolts. 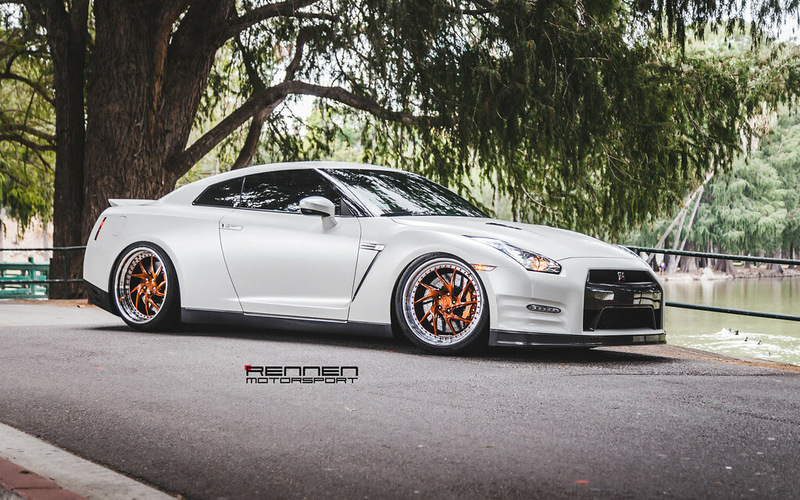 The front wheels are a massive 21 x 11 in the front and the rears are 21 x 12.5. 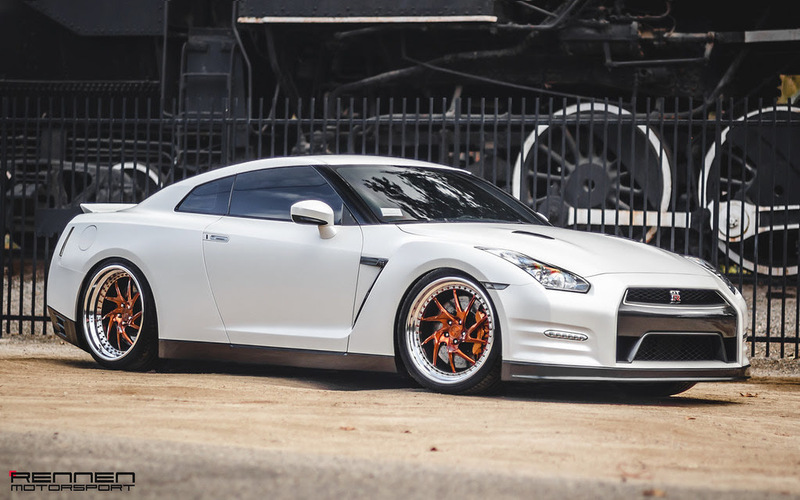 The MV55’s fully-forged construction also adds unmistakable quality and durability to the equation. 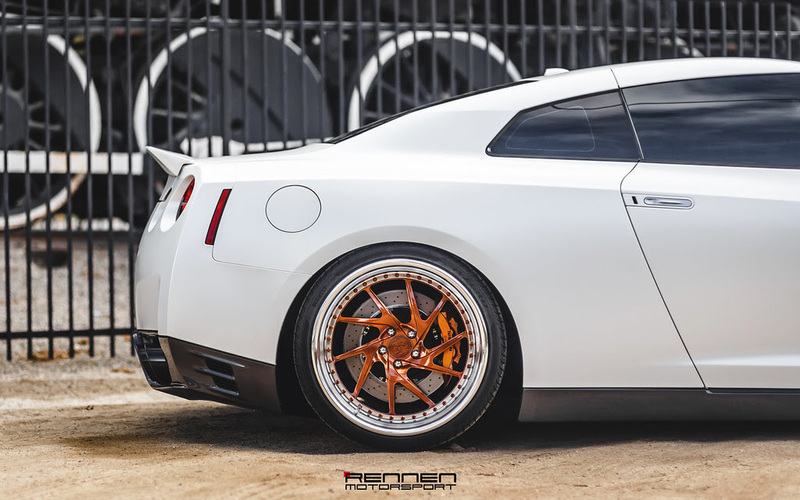 This is350 isn’t the only vehicle that can benefit from Rennen Motorsport’s remarkable concave forged wheels are, as our wheels can be made in plenty different variations to fit just about any vehicle. 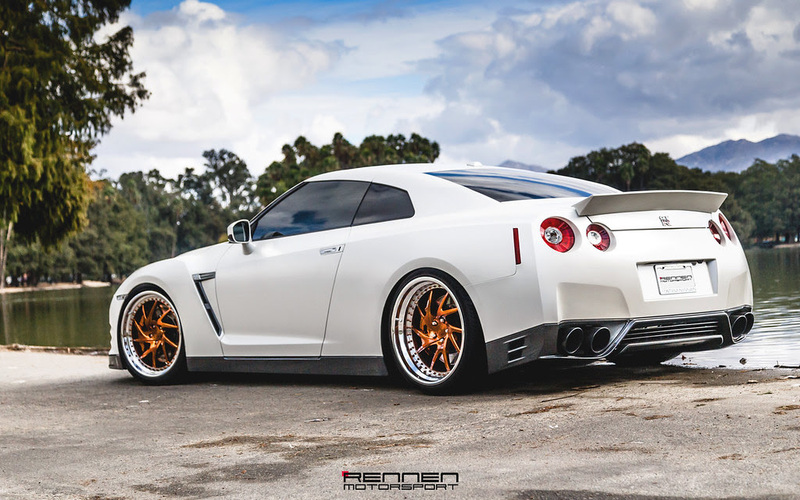 All Rennen Forged wheels are made in the U.S. and are designed to be fully customizable in approach, offering a myriad of possibilities including different levels of concavity and custom diameters, widths and offsets in addition to a nearly limitless number of finishes like carbon fiber, brushed, polished and color-matched.